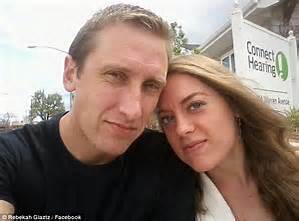 Pastor Michael Glatze and his wife. Formerly a gay activist --Michael Glatze, now a Christian pastor in Wyoming. Formerly, co-founder of Young Gay America, and former gay rights advocate joins David (interviewer) to discuss his no longer identifying as gay. How This Gay Man Became Straight - YouTube Video 12 minutes - worth watching. This video has given me some needed heart, some empathy, for gays or former gays.